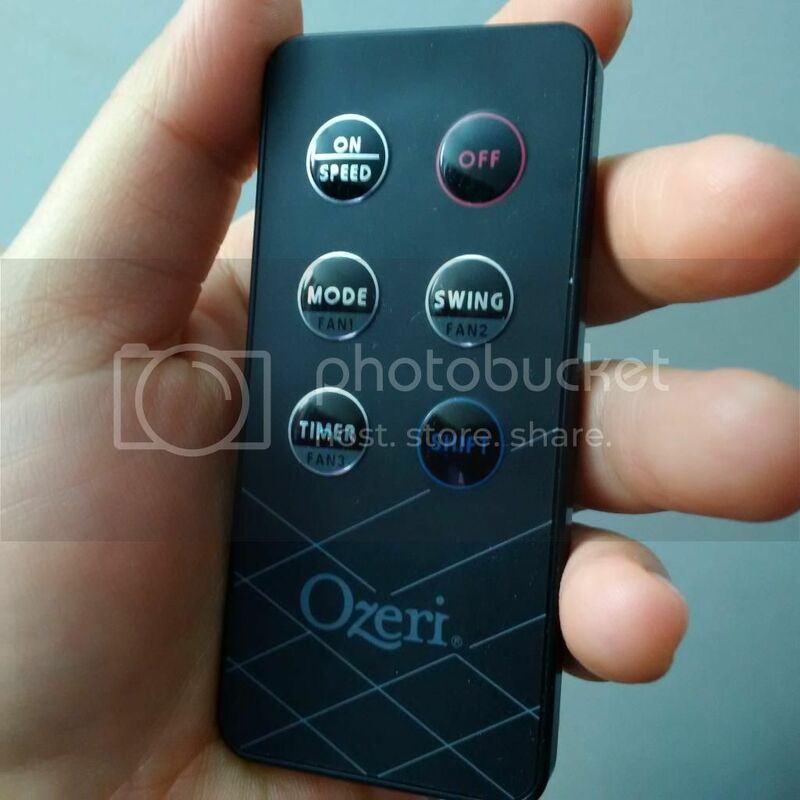 Ozeri is a great company to work with, they have great products and customer service. I've done reviews of at least 2 of their products in the past. 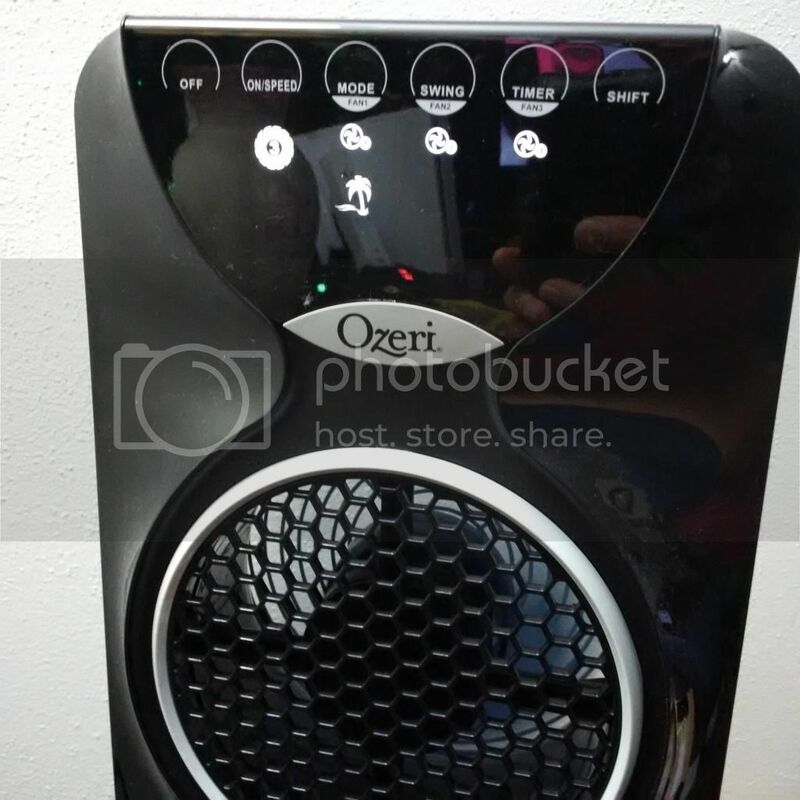 Today, I am sharing with you all another great innovation from Ozeri, their 3x Tower Fan 44 inches Passive Noise Reduction. I was so thrilled to received one for free for product evaluation and review. It's now sitting pretty in our living room, giving us comfort. So, what is this 3x Tower Fan all about and what makes it a better fan than others? It has canted fan blades that utilize the physics of blade curvature to generate opposing sound waves to reduce blade noise and isolate the soothing sounds the airflow itself. Engineered with 3 independently controllable fans and 3 fan speeds, offering up to 9 levels of cooling and customized airflow. The world's thinnest fans at less than 3 inches thick and has an elegant glass base stand. Has 3 pre-programmed airflow patterns designed to foster sleep, relaxation and comfort with 90 degree whisper-quiet oscillation for optimal air circulation. Extended range remote control and the touch sensitive LED control panel provide easy access to all features, including a 7.7 hour timer that can be programmed in 30 minute increments. What I think of the Ozeri 3x Tower Fan(44") with Passive Noise Reduction Technology? -When the item came, it was packaged securely so I was happy how they made sure I will get it in good condition. 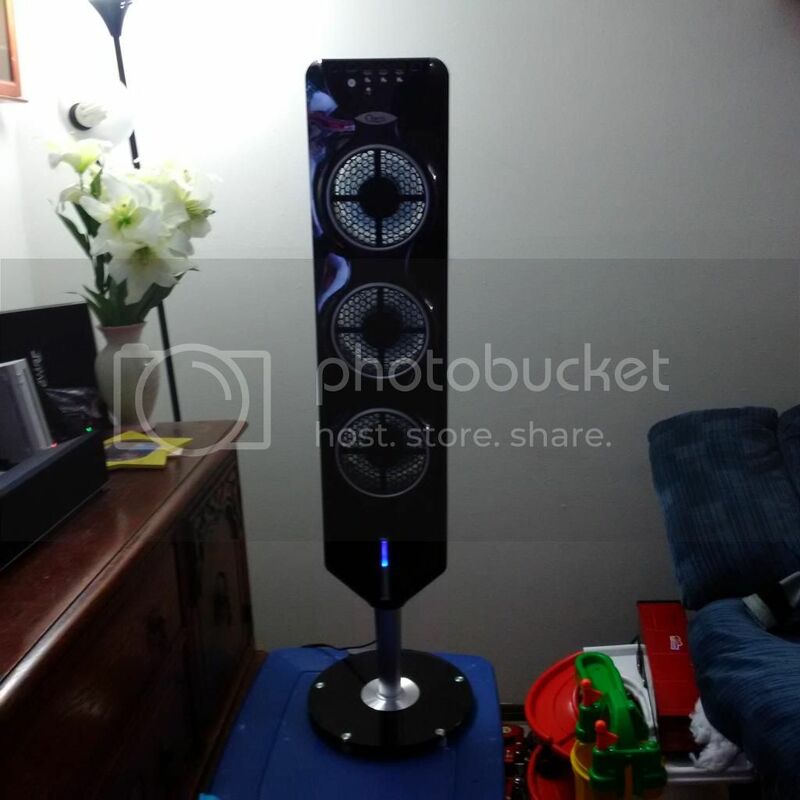 First thing I like about this Tower Fan is the elegant black and shiny design. It makes my living room look cozy in spite of my kids toys laying anywhere. The design makes it safer for kids not to get hurt with the blades. The blades are guarded with sturdy screen, kids won't be able to poke their fingers in. I have a 20 month old baby and his safety is number one consideration we take in choosing appliances. The fan is indeed giving a soothing sound, in fact my humidifier is noisier and annoying. It's lightweight and thin, it won't take a lot of space in our already not so spacious house. I think it will be easy to clean this as well. I have not done any cleaning yet since I just got the fan and still looks clean. -I had a great time playing with the fans, learning how to operate it. Each fan can be controlled independently. I can turn off one or two fans and just have one fan running. It still delivers cool and strong air even I was 15 feet away. It has 3 fan speeds and I can customized the air flow making the house much cooler. This gonna be perfect for summer, it will save us some money for not letting our AC run harder. -This fan is remote controlled and they say you can operate the fan up to 20 feet away. I tried it and it worked. Also it's a touch screen controlled so you can operate the fan without the remote. The remote control is so tiny yet all the buttons that you needed are there just like what you can find on the touch screen. There's a compartment for the remote at the back of the fan and you can store the remote there when the fan is not in use. - The front blue LED light indicator is gentle on eyes, touch screen buttons are located on top of the fan, giving us easy access. We love it, it was way better, sturdier, stronger, quieter than our old remote controlled stand fan which we now ditch. Hubby and I are highly recommending it. Disclosure: I received an Ozeri 3x Tower Fan (44") with Passive Noise Reduction FREE for product evaluation and review purposes. However, all opinions expressed were solely ours( me and my family) and not influenced in any means.